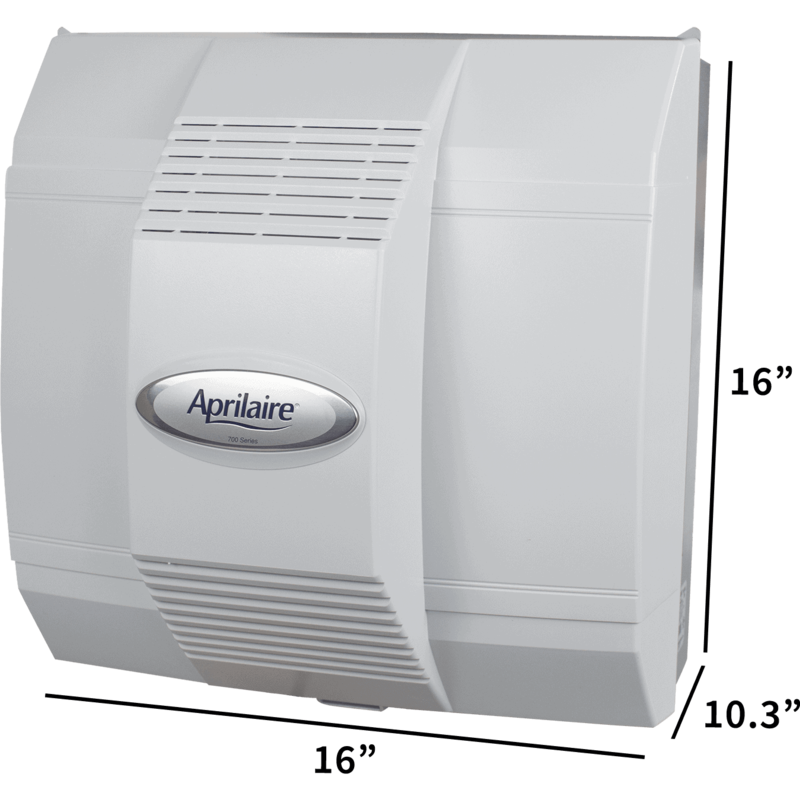 Aprilaire Model 700 Whole House Humidifier is very powerful and will protect your home from dry air. 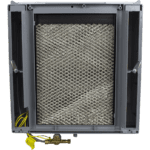 This powered flow-through machine operates with your current heating and cooling system and produces accurately humidified air everywhere in your home. 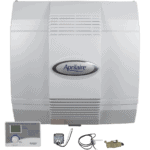 Aprilaire Model 700 is evaporative humidifier and can give up to 18 gallons (68 liters) of mist per day. With that much amount of moisture, you can humidify spaces up to 4,200 square feet (390 square meters). 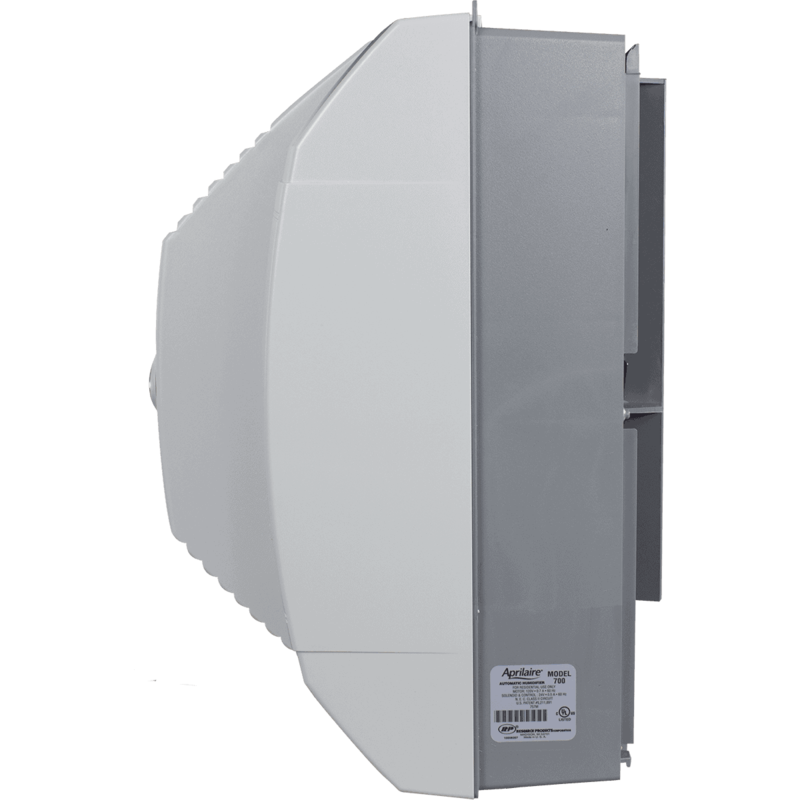 Aprilaire Model 700 is created to be installed on the warm air supply plenum of your HVAC system so it doesn’t have a unique design. The humidifier is made to be in a place where you don’t see it so you actually don’t need to think about how it looks. 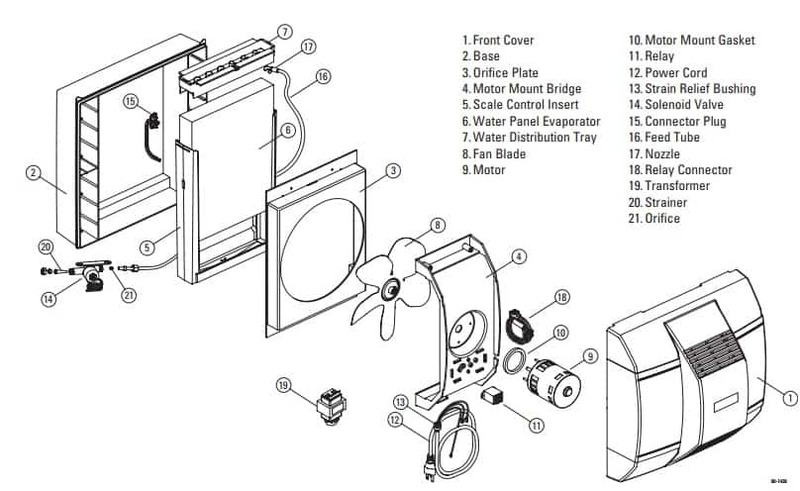 Humidifier has a front cover, base, and a lot of parts between them. See image below. As the humidifier doesn’t have bucket it is not big and doesn’t weight much. Weight is only 9 pounds (4 kg). First I have to mention that 2 Aprilaire 700 models are available. One comes with a manual humidity controller only and other comes also with a manual and digital controller. The digital controller maintains automatic set it and forget it performance. 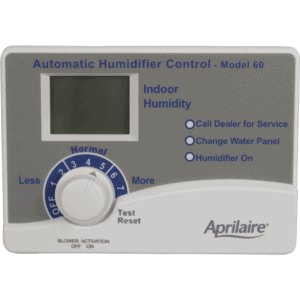 Set It and Forget It function enables you to insert your desired humidity level on the humidity control. Then the humidifier automatically keeps that level, no intervention wanted. 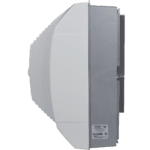 Automatic humidifier control shows you indoor humidity level, humidifier on/off indicator, change water panel indicator and Call dealer for Service light. It has also 7 dial settings. Use table from users manual to pick the right one. Those settings depend on the temperature and overall humidity level. 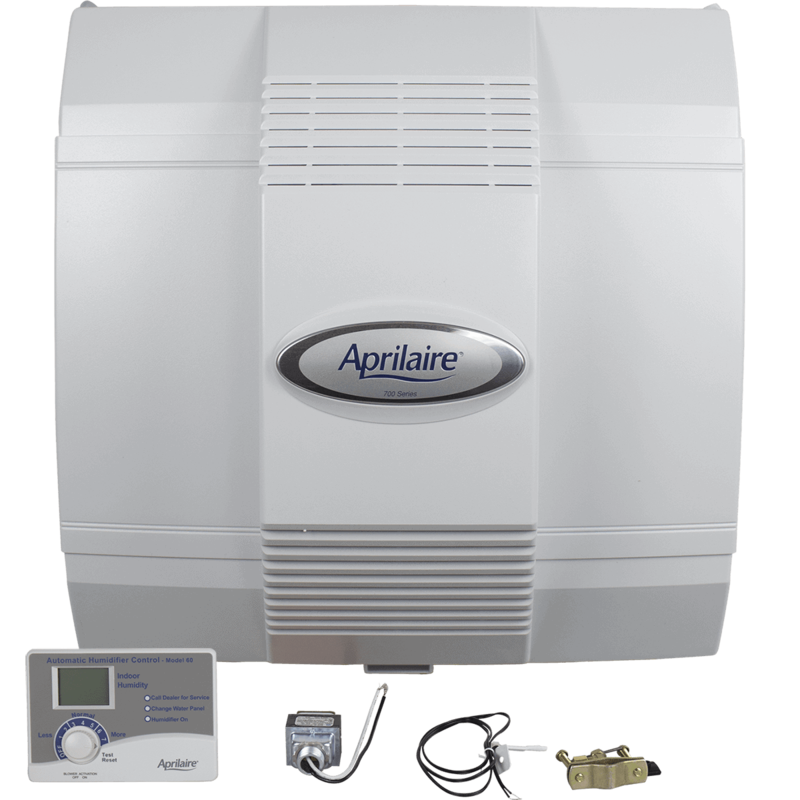 Aprilaire Model 700 has water panel (filter) created specifically to give the proper humidity to your home throughout the heating season. Humidifier has an indicator that warns you when it’s time for a replacement. Humidifier has a noise from motor and fan blade. When operating slowly you barely can hear it but with the fastest speed, it is quite loud. But for such a powerful humidifier that’s normal. After installation, next thing you will do is Water Panel change. For decent humidifying during the season, you should replace it twice per year. Water Panel price is around $16.95. Periodical review and preventative maintenance of your total heating system are important for efficient and safe performance. 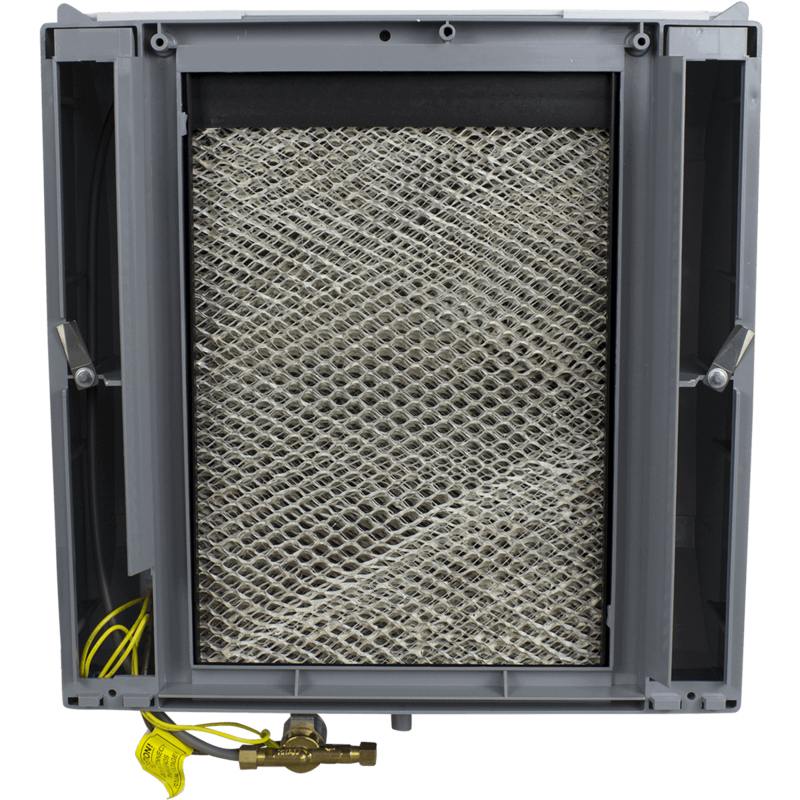 Your heating contractor can maintain your humidifier when assistance the HVAC system. 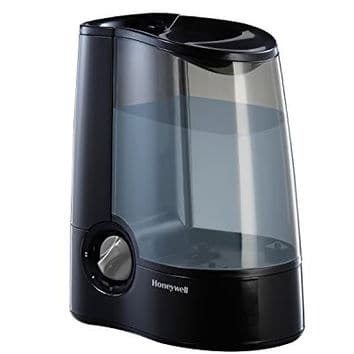 Overall you don’t need to do much about this humidifier. Just set it and let it work. 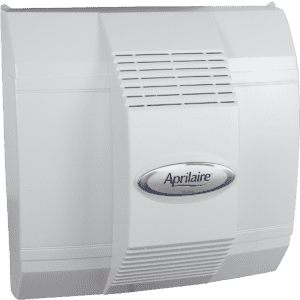 Aprilaire Model 700 whole-house humidifier is one of the most powerful humidifiers available today. The best thing about it is that you can set it and forget about it. 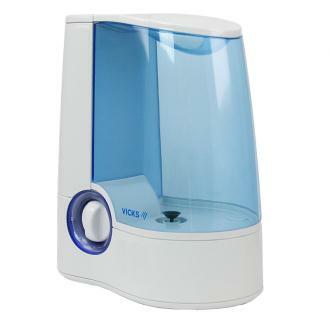 A humidifier helps you feel warmer and in that way reduces heating costs. 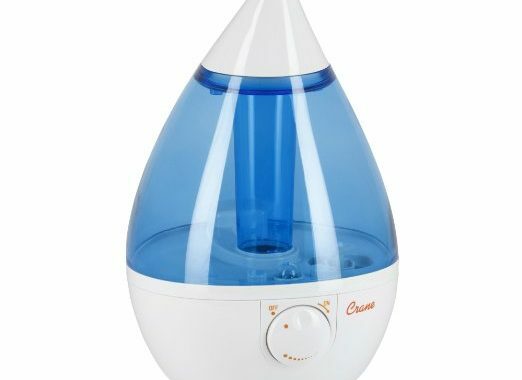 If you have dry air signs like itchy dehydrated skin, dry lips, respiratory sensitivity, and nasal hypersensitivities then you should try this humidifier. Posted in Humidifier Reviews, Reviews and tagged Aprilaire, Best whole house humidifier, Humidifier, Humidifier review, Whole House Humidifier.